Microsoft Lync is the most widely adopted Unified Communications platform for businesses who want to enable any to any communication and collaboration across their organisation. VideoCentric provides expert integration of professional video solutions with existing Lync deployments, or simplified Lync deployment solutions for those looking to integrate Lync in the future. Microsoft Lync 2013 delivers streamlined communications for the users in your business, so that they can locate and communicate with who they need to, right now. Employees can work across different locations and time zones using a variety of communication methods such as instant messaging, voice & video conferencing, and organisations can reduce the costs associated with travel, telecoms and IT, whist allowing them to improve their business in a sustainable way. Microsoft plays a leading role in the UC market, affecting the direction of products, services, and technologies – a dynamic that began with the company’s introduction of Microsoft Live Communications Server 2003, continuing with Microsoft Office Communications Server, followed by the November 2010 introduction of Microsoft Lync, and now the evolution to Microsoft Lync 2013, and the integration of Lync with SharePoint and Exchange. Microsoft Lync is an enterprise-ready unified communications platform that connects people everywhere, (including on Windows 8 for Lync 2013), in the boardroom, at the desktop and on mobile devices, as part of their everyday productivity experience. Lync provides a consistent, single client experience for presence, instant messaging, voice, video and meetings. VideoCentric can work with you to deploy Microsoft Lync 2013 into your organisation. With partnerships in place with leading Microsoft Gold Partners and with worldwide integrated Lync solutions, VideoCentric can help you to decide on the best route forwards, whether this be integrating Microsoft Lync with your current PBX or replacing it completely. VideoCentric’s Lync Solutions allow quick and easy integration within the enterprise without any impact on your IT environment. Whereas traditional Microsoft Lync deployments require changes to your current infrastructure, VideoCentric’s Lync deployment solutions require no changes to your Active Directory and enables external access, connectivity with other companies, public IM integration and Lync mobile access. VideoCentric have Light and Enterprise solutions suitable for all size of organisation, with both on-premise and cloud solutions, a Hardware Appliance virtualized on Hyper-V and a Software Only Appliance available to deploy on your organisations Virtualised Environment. VideoCentric, in partnership with Active Communications and AudioCodes, can deliver a complete “Lync-in-a-box” solution to enable organisations to deploy a single appliance for Lync 2013 and provides a complete environment for SMB clients seeking the business changing capabilities that Microsoft Lync provides. Microsoft Lync is by far a simple and cheap solution for office communications. However, VideoCentric’s Lync solutions provide a much more cost effective way of deploying Lync, with a much shorter time to deployment. With Virtualised offerings and “Lync-in-a-box”, deployment can take between 3 hours and 2 days – far from the weeks of deployment with many other offerings on the market. 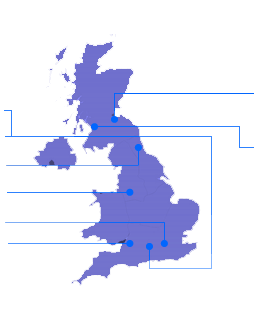 And with our team of Microsoft Lync Experts, we can help design, install and deploy Lync into your organisation. Microsoft Lync 2013 is a phenomenal advance in Unified Communications, connecting people across devices in a way that is collaborative, engaging, consistent and accessible, from the home office to the boardroom. In order to deliver a high quality experience to organisations and employees, multiple hardware products must be sourced, understood and deployed to work across large, even global enterprise communications networks, leading to technology integration and supply challenges as well as logistical complexity. VideoCentric are the UK’s leading solutions integrator, working with experts, partners and solutions to deliver a solid and complete Lync optimised portfolio, providing Connectivity, Security & Resilience, HD Audio & Video Conferencing on the go, at the desktop and in the meetingroom, Applications & User Devices and the Network Infrastructure to make it work. Room based Professional Video Conferencing Endpoints optimized for Microsoft Lync. Integrate with Professional Video Network Infrastructure, and offer solutions to provide accessibility outside of your Lync deployment with professional Video Conferencing around the world. How can I integrate Microsoft Lync with Professional Video Conferencing? 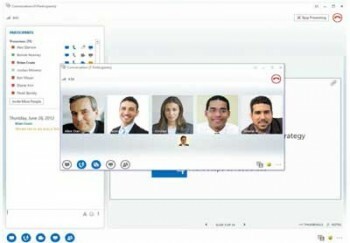 Although Microsoft Lync offers video collaboration at the desktop, organisations need to professionally integrate their familiar Microsoft Lync UC interface and usability with Professional HD Video Conferencing and Collaboration Solutions in the Boardroom, executive office spaces or group conferencing rooms. Solutions are available to integrate all the world’s leading Video Conferencing & Collaboration solutions, and VideoCentric can provide expert integration for both a single and multivendor environment, whether that includes Video Conferencing integration with Polycom, LifeSize, Cisco or RADVISION infrastructure, or other Unified Communications Platforms such as those from Cisco and Avaya. Polycom and Microsoft deliver a complete and interoperable end-to-end unified communications (UC) solution for voice, video, conferencing and collaboration and connect people from any device, and from any location. Your employees can collaborate with anybody securely and instantly. Microsoft Lync provides presence information within email and business applications such as Microsoft Outlook and Microsoft SharePoint and allows users to find and initiate conversation without leaving the application. It also lets you collaborate with virtual teams inside as well as outside firewalls, with your colleagues working from home or on a business trip, or with federated customers and partners. Polycom solutions extend the benefit of Microsoft Lync and enable highly scalable and secure voice and video collaboration experiences in multiple environments beyond home and work office to conferencerooms, hospital floors, and retail shops—all from within the familiar Microsoft Lync interface. How do I achieve Integration with Microsoft Lync? Get in contact with VideoCentric – the UK’s leading Video Conferencing and Collaboration integrators who are fully accredited with LifeSize, Polycom, Cisco & Avaya (RADVISION) and work with Microsoft Gold Partners to offer full Lync integration solutions. VideoCentric’s is highly experienced in Video Network Infrastructure and the integration of multi-vendor solutions, and have Polycom RealPresence Infrastructure, the LifeSize UVC Platform, Cisco VCS & Microsoft Lync Infrastructure at our HQ for real-world use in our organisation, and for demonstration within our demonstration suites – the UK’s most comprehensive suites for HD Video Communication Solutions. Unified Communications (UC) is not a specific product or service, but rather a concept in which a single user interface is used to access a variety of communication modes, creating a “collaborative communications environment”, including presence, instant messaging, telephony, audio & video conferencing. Before the emergence of Unified Communications in the workplace, employees would be required to decide in advance which communication mode they wish to use, and a specific communication channel for that type would be established, without the ability to change or moved once a meeting was in progress. Unified Communications enables you to start with any communication method you choose, add other methods as needed, and move from one to another, seamlessly. Many businesses have implemented Unified Communication Solutions across their organisations, and report numerous benefits, from productivity to cost savings, higher revenue & improved support for their dispersed workforce. Presence information helps our employees find one another, and communicate in the most effective way.